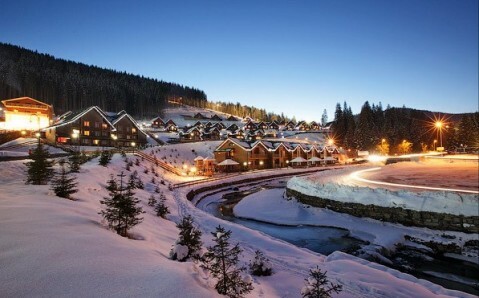 Despite being relatively young, Bukovel is known as one of the most famous and ultramodern ski resort in Ukraine. This recreational haven owes its enormous popularity among both Ukrainian and foreign lovers of outdoor activities to its climate, endless comforts, and plenty of well-equipped skiing trails. Bukovel is situated in one of the most beautiful places of the country, the Ukrainian Carpathians, at an altitude of 920 meters (over 3000 feet). Because snows fall early in the year, and stay for a long time, from November to April the resort has ideal skiing and snowboarding conditions. 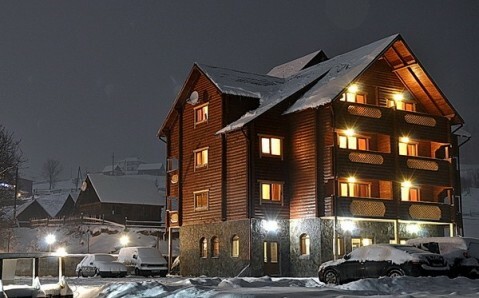 The resort has 16 ski lifts, ranging from 650 meters to 2000 meters (2130 to 6560 feet) long, which make it one of the biggest ski resorts not only in Ukraine, but all of Eastern Europe. 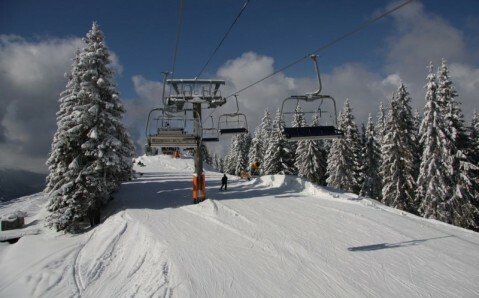 Bukovel is especially proud of its excellent ski trails, which, in total, are over 50 kilometers (30 miles) long. They are spread out across five mountains, on specially prepared slopes. Each visitor can choose a track to his or her experience level: there are difficult trails for professionals, and easier ones for beginners; they even have slopes for children. All the trails are equipped with snow canons and are constantly maintained, so they always stay in perfect condition. Bukovel’s slopes are also lit up, so they stay open in the evening. These high-grade trails attract not only skiers, but also those who are fond of snowboarding and riding snowmobiles. Those guests who have never put on a snowboard or skis, but dream of conquering the Carpathian slopes, can enroll in classes. Highly experienced instructors give both group and individual lessons. And those who are not ready to master skiing can enjoy a hot beverage at the base camp and admire the absolutely stunning views of the Carpathians. 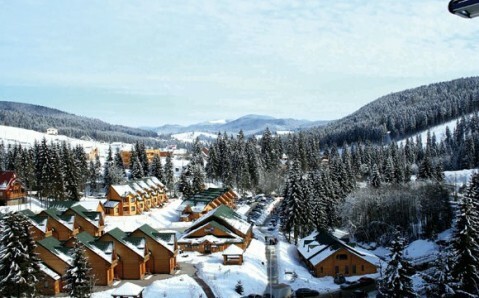 The comforts of this resort are only enhanced by various hotels, entertainment centers, cottages, cafes, and restaurants, which offer hearty Ukrainian meals. But even after the last Carpathian snows melt, Bukovel continues to attract tourists. Alpinists, mountain climbers, river explorers, and mountain bikers (the best bike park in Ukraine is here) all come here in spring and summer. And in recent years, due to its mineral springs, Bukovel has shown itself to be an excellent place for health improvement. Today, several sanatoriums and spas operate here. Location: Bukovel is 100 kilometers (60 miles) away from Ivano-Frankivsk. You can also reach it from Lviv, Ternopil and Chernivtsi.